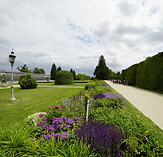 The park of the Lednice castle is almost as impressive as the castle itself. 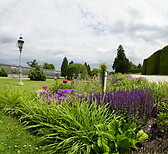 It consists of a series of gardens with flower beds, trees and carefully choreographed bushes. The glass house which nowadays contains palm trees and other tropical plants was added in 1845.